Effective governance is a key factor in determining a microfinance association’s success, both in terms of delivering quality services and developing a vibrant local microfinance industry. Board continuity, accountability, and the performance of individual directors are examples of common governance concerns that many organizations face. Microfinance associations face an additional set of unique challenges. Operating in a sector characterized by rapid growth, organizational diversity, and a broad range of financial and social objectives, microfinance associations can struggle to obtain genuine leadership. SEEP can assist association board members and managers in building and sustaining an effective governance process. 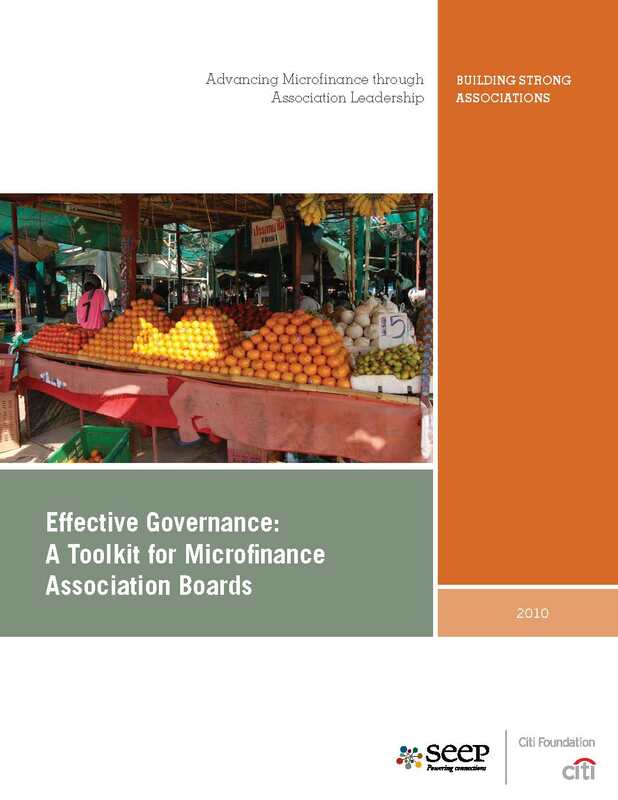 Our publication, Effective Governance: A Guide for Microfinance Association Boards, was developed to this end, and includes a comprehensive collection of tools, templates, and resources adapted to the needs of microfinance associations.